Tory Belleci, Kari Byron and Grant Imahara left "Mythbusters" after they failed to reach a contract agreement with Discovery. 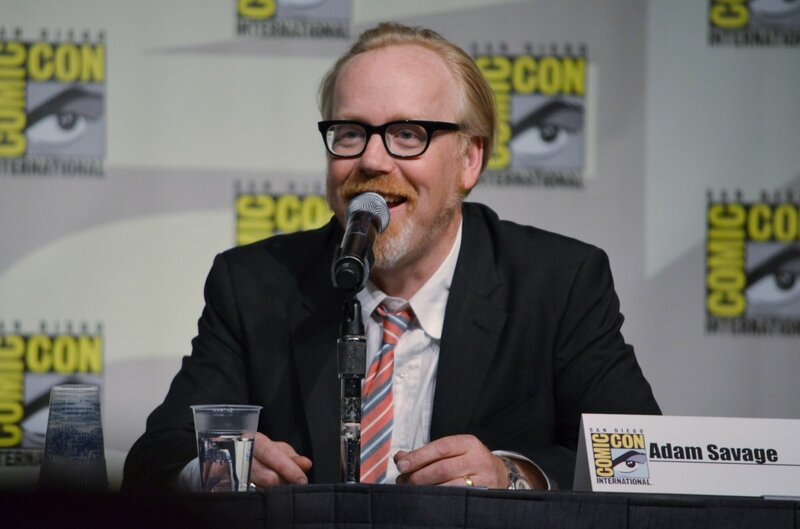 Host Adam Savage and executive producer Dan Tapster revealed as much in an interview with Entertainment Weekly published Friday. Belleci and Byron joined the show in 2004, and Imahara in 2005, and announced they would be departing the program in August. "Kari, Grant, and Tory are good friends of ours, and we love those guys," Savage said. "We didn't want to see them go. The actual reasons for them going -- while we have certain understandings of what went on -- that's a contract discussion between Discovery and those guys." "We were very keen for [the trio] to be a part of the show," Tapster said. "There were negotiations, and based on those negotiations, they opted out. It's a shame for them. It's a shame for us. But it gave us the opportunity to reinvent the show, which it kind of needed." Savage and Jamie Hyneman have co-hosted the program since 2003. The show sees the duo use scientific methods to prove or disprove rumors, myths, movie situations and more. Belleci, Byron and Imahara comprised "The Build Team" and generally performed their experiments separately. "Mythbusters" will return with new episodes Jan. 10, 2015. Savage said that seeing Belleci, Byron and Imahara leave was disappointing and sad, but expressed continued enthusiasm for his work and upcoming seasons. "I don't like to disappoint the fans," he said of his co-hosts' departure. "I don't like to make them angry. But I really feel like when they see what we've been producing this year, they'll see a program that we still love to make."